How To Spot An Abuser Before You Say "I Do"
Every 9 seconds a woman is battered in the USA. On average, more than 3 women and 1 man are murdered by their intimate partners in this country every day. Joyce discusses how to spot the Top 10 Signs of an abusive person before you say "I do" with Tresa Smith-Cullins, abuse survivor and author of From Shame to Silence to Solace in the Lord. To order Tresa's book email her at fromststs@gmail.com or you may call her directly at 404-663-7626. 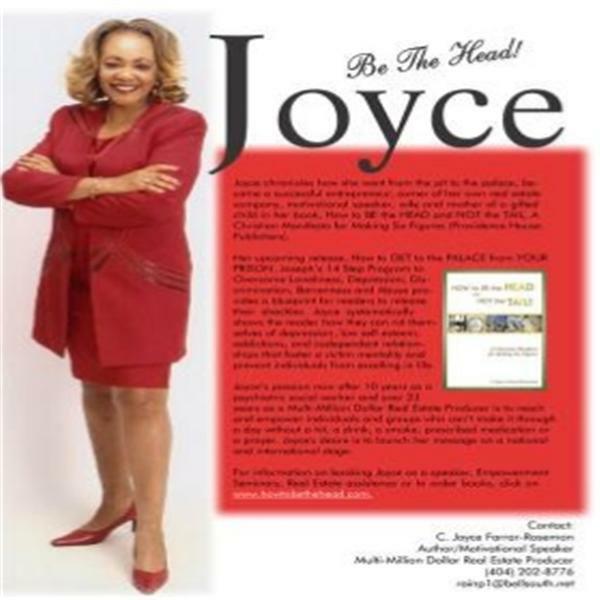 To order a copy of Joyce's book click on the book link above. For autographed copies or to download a copy go to http://www.lulu.com/content/1852847.